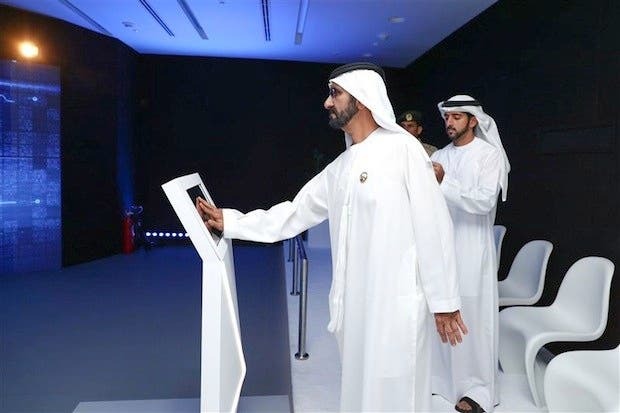 Sheikh Mohammed bin Rashid Al Maktoum, Vice President and Prime Minister of the UAE and Ruler of Dubai, has inaugurated the Roads and Transport Authority's (RTA) Enterprise Command & Control Centre (EC3) in the presence of Sheikh Hamdan bin Mohammed, Crown Prince of Dubai, on Monday. 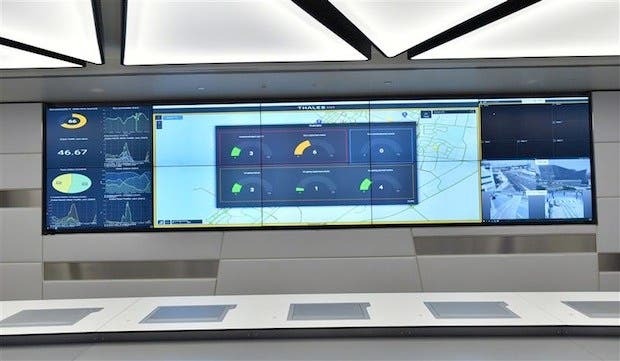 The EC3 centre enables the control of all mass transit systems namely the Dubai Metro, Dubai Tram, public buses, taxis and marine transit modes in addition to the traffic control systems. The cost of the new centre, which meets the requisites of hosting Expo 2020, amounted to Dh335 million ($91.2 million). Mattar Al Tayer, director-general and chairman of the board of executive directors of the RTA, made a presentation about the centre, which comprises of a ground floor and five levels. The EC3 is fitted with a helipad and has a main control room rising 13 metres in height and spanning an area of 430 square metres. 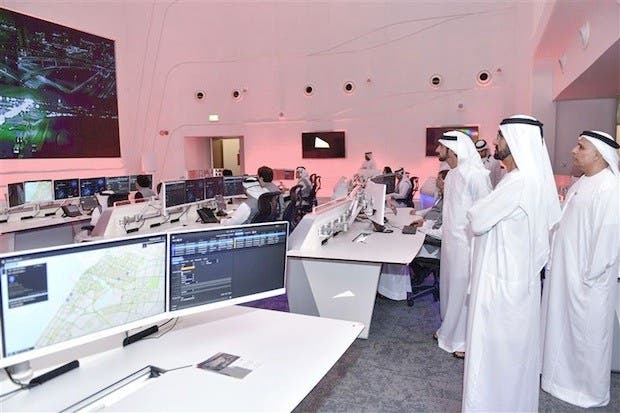 The centre also has five subsidiary control rooms for various uses, two multi-purpose halls overlooking the main control room, as well as accessibility to the mass transit system which enables the leadership team to take decisions during emergencies and crises.